Not easy to get hummingbirds in flight...they're so jittery...hehe. For the most part, any hummingbird you see in your area is a Ruby-throated Hummingbird. The males are the flashy ones, the females are brown. However, it is possible for a straggler from west to show up. 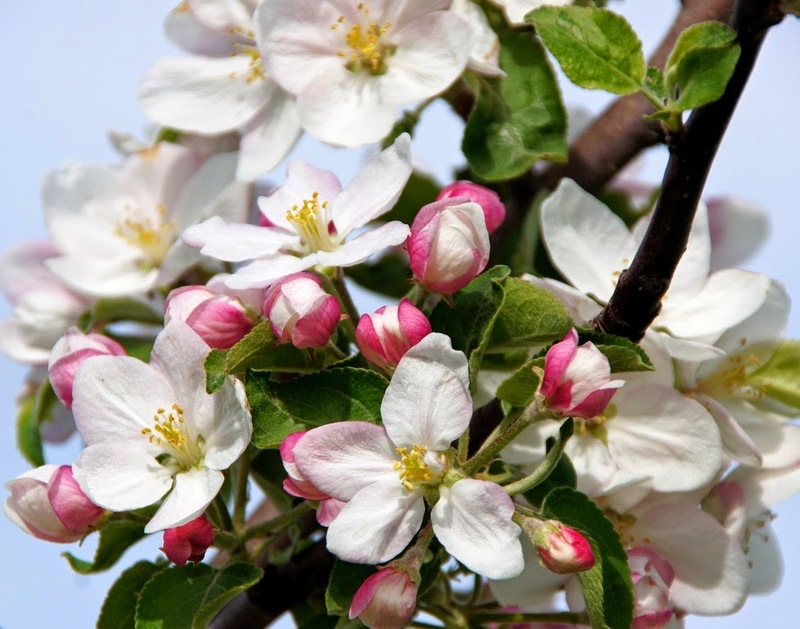 Apple blossom magic is the essence of spring.